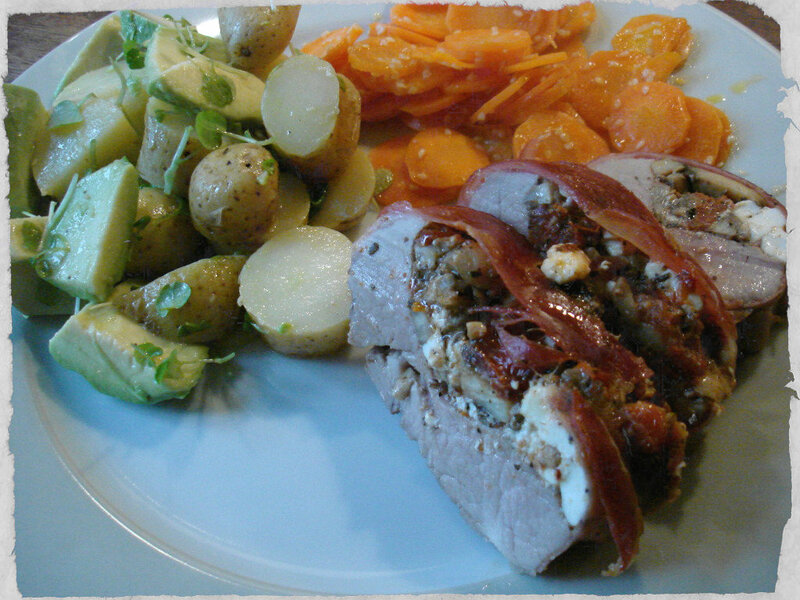 I’ve always been very fond of pork tenderloin, and especially stuffed pork tenderloin, so when I walked around the supermarket yesterday finding something for evening, I decided that that was exactly what we were having for dinner tonight. 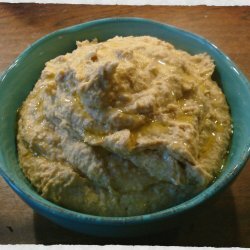 The stuffing was a mixture of mushrooms, semi-dried tomatoes, garlic and feta – which Sillas loves and I’m just beginning to like as well. 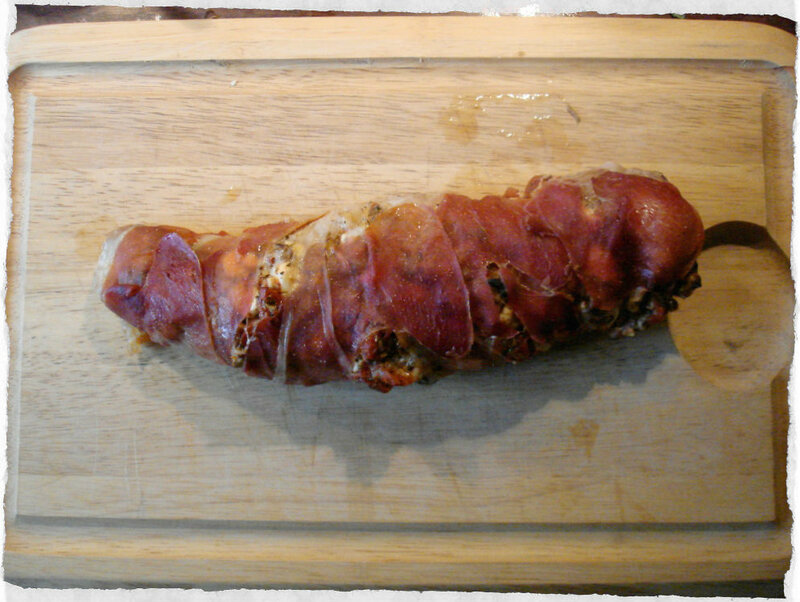 I wrapped the pork tenderloin in prosciutto ham before it went into the oven. Yum! It was really good, tender meat and lots of flavor from the stuffing. A great guest meal for another day too. I also made sesame carrots and a tasty potato salt. approx. 250 g of mushrooms. Chop the mushrooms into small pieces and fry them in a pan, season with a little pepper. Set them aside too cool off. In a bowl, mix chopped semi-dried tomatoes with finely chopped garlic, feta cheese into small cubes and the sautéed mushrooms. Clean the tenderloin. 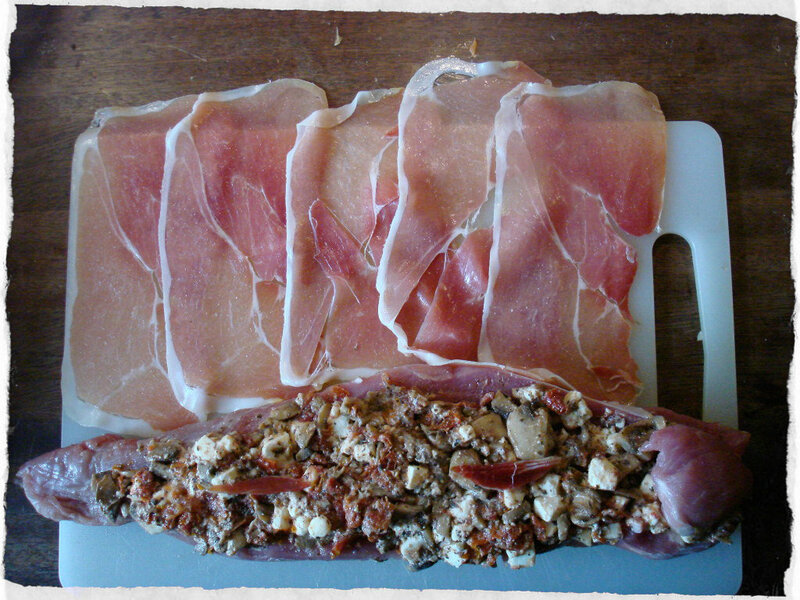 Cut it halfway through, add stuffing and wrap prosciutto around. Cook at 180 degrees C for approx. 40 minutes. I was not quite sure if we had enough potatoes, so I also made a small side dish of carrots. Peel and cut the carrots into thin slices. I used my mandolin iron, it is so simple. 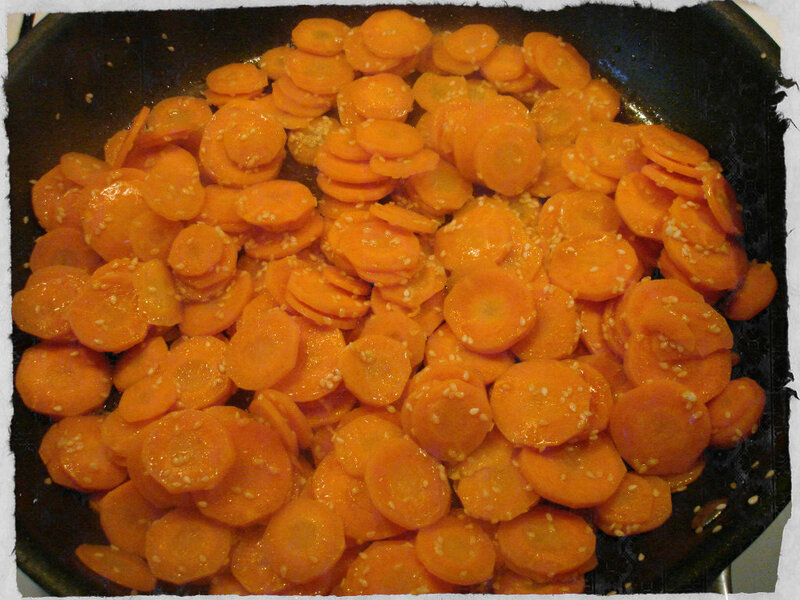 Pour a little oil on a pan, add carrots and sesame seeds to the pan and warm it up for approx. 5 minutes. Finally, add balsamic vinegar. If you have some herbs, you can easily put them on top as well. 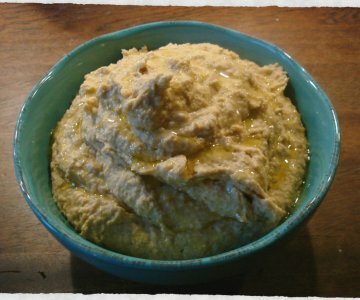 Yes it really it perfect for guests, tasty, fresh and full of all things yummy :) Lets see if its on the menu at the next dinner party..